Experiential marketing is no longer a new concept. There are many benefits to a well thought out and executed campaign, as I described back in January, but that doesn’t mean every campaign is well done. So let’s talk about how to actually create an effective experiential marketing campaign. From 2009-2018 I worked in client service at a pair of experiential agencies designing and executing programs for clients such as Verizon, Kettle Brand, Evolution Fresh, Sea Cuisine, and Welch’s, among others. Before that, I spent two years on the road as a tour manager. As such, I have worked on and seen my share of campaigns, both good and bad, and I’ve learned a few things along the way. The following traits of an effective campaign are not meant to be an exhaustive list. There are certainly others I’ve left out, so feel free to share your best tips in the comments below. But if you follow these five principles as you create your next campaign, you will see better results. Most of us learned this principle in high school or college, and unlike advanced calculus or that sports broadcasting course I took one semester, it still applies. In this case, decide the message your brand wants to communicate to the consumer and build your campaign around it. Don’t try to do everything! One campaign I managed a few years ago – I won’t name the brand – didn’t follow this rule and it showed. The client wanted to do everything and I didn’t push back enough. It was a national product sampling tour, and in addition to cooking and distributing samples to consumers, our tour managers were also running a survey via a tablet, a quiz via a tablet, handing out branded temporary tattoos, handing out coupons to qualified customers, registering customers for a sweepstakes, and taking consumer photos via a tablet. There was just too much going on. Too much for our tour managers to communicate and too much for the consumer to take in. The result was a muddled message and average program results. Of course I share the blame with the client on this. They had a bunch of ideas and wanted to do them all, but as a marketer it’s my job to be the expert and steer them in the right direction – even if that means convincing them to do away with some of their big ideas. Consumers need to walk away from their experience with your brand with a clear message. If not, it won’t stick with them and your campaign won’t be successful. How do you get your message to stick? Tell your story. Today, more than ever, consumers are looking for a reason to purchase a product. They’re not going to purchase a product just because they saw it on a commercial or got an ad. They don’t just want to buy something; they want to buy into something. They want to connect with the brand and feel a sense of good when giving their money to that brand. Think of TOMS, which donates a pair of shoes to a person in need for every pair purchased. That’s a well-known example, but you don’t have to donate a product to have a similar effect. If your brand has a great back story hat consumers can relate to, tell it. If you’re company’s mission is compelling, let consumers know. If you can capture consumer stories about your brand or product, share them. But don’t make the mistake of thinking that just because you think your brand or product is the best there is, consumers will feel the same. Consumers want to know, ‘How will this brand or product improve my life?’ It’s your job to tell that story through your campaign. Thanks to the Internet and the power of reviews, brands can no longer promote false or exaggerated ideas and expect consumers to buy them. They have to deliver an authentic message that resonates with the people they are trying to reach. That’s why brands like TOMS or Sky Footwear resonate – they authentically (that’s key) appeal to our relational and/or emotional side. If I buy a pair of shoes or socks for myself I’m also doing something good. I’m not just giving my money to a big corporation. Similar to principle #2 above, in order to effectively reach consumers, you need to make your experience relevant to them. Of course, his book is all about content marketing, but the truth he relates and the questions he asks are applicable to us as experiential marketers as well. We need to give consumers a reason to buy from us (as described above) and we also need to make our experiential campaigns relevant to them. One program I managed was a sponsorship activation for Verizon at The Honda Classic, The Arnold Palmer Invitational, and The Player’s Championship. The client’s goal was to encourage sales of an accessory (the original Zepp Golf Sensor) by offering fans a way to call and text their friends during the tournament. At the time, the PGA did not allow fans to bring cell phones in. Simply having phones displayed in the vendor village and then trying to talk to the consumers who were drawn in about the accessory wasn’t effective. So I suggested something revolutionary: actually demonstrating the accessory! I know, right? The client was hesitant to increase the budget, but obliged for the third event. We did it very simply: a hitting net, a few clubs, golf gloves in various sizes, and a TV monitor to display the swing results that the sensor spit out. Every day throughout the tournament we had a line of consumers waiting to try it out and we sold out of the inventory of product we had on-hand within the first few days. We had to get more from a local Verizon store for the weekend. It worked because it was relevant to the consumer in the environment we were in. Golf fans didn’t really care about calling or texting their friends during the tournament, but they all wanted to see first-hand how a small accessory that pairs with their phone can improve their swing. We can’t assume just because we sell great phones and claim to have the fastest phone service that consumers at a golf tournament will want to engage with them and then purchase an accessory they haven’t even tried. It’s small and seemingly obvious example, but one that took quite a bit of convincing for the client. Sometimes a client just doesn’t know exactly what they want – that’s why they come to you! If your campaign is communicating a clear message that resonates with consumers and is relevant to them, this one should fall into place. The big buzz phrase in experiential a few years ago was “user generated content”. It put Mosaic on the map with their Bud Light Up for Whatever campaign, which won Event Marketer’s Grand Ex Award. They flew only 1,000 consumers to Whatever, USA but the content that came out of it was viewed by more than 15 million people around the world. Mosaic and Bud Light built their entire campaign around experiences that would be immensely sharable and the fact that it was such an exclusive event created the FOMO that propelled the content that resulted. Just because it has been around for a few years doesn’t mean it’s outdated. Quite the contrary. You don’t have to go to the lengths Mosaic and Bud Light did, but it should be a part of every campaign. 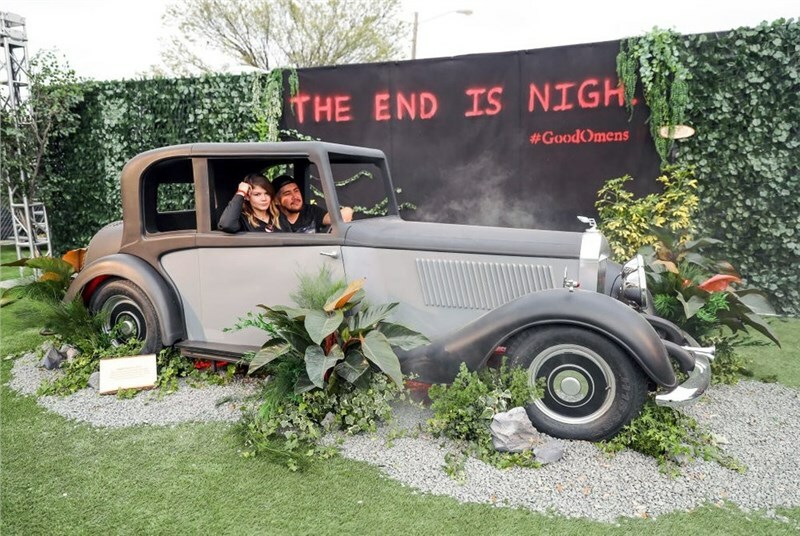 South by Southwest just wrapped up and from the looks of it Amazon's Garden of Earthly Delights activation to promote its upcoming Prime Video series Good Omens and HBO's Game of Thrones activation were the only brand experiences there. Obviously they weren't, but I've seen more shared content from those two over the past week than all other activations combined. 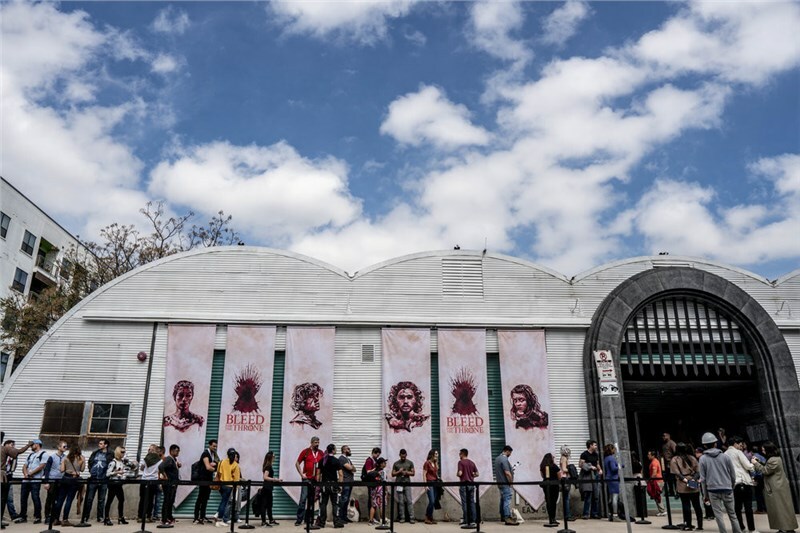 The amount of content I saw from Amazon's activation alone made me feel like I witnessed it in person and piqued my interest about the show. If you can get the consumers who interact with your campaign to share it with their networks, you are extending the engagement beyond just what your staff is doing at the event or in the field. That sort of free marketing is invaluable, of course, because consumers are more likely to purchase when their family, friends, or someone they trust recommends it. In other words, it allows you to reach potential customers that didn’t even engage with your brand activation. The final principle is less about succeeding with your consumer – at least immediately – as it is learning, improving, and – if you are an agency – winning back the business. It is to marketing what location, location, location is to home buying. If you aren’t measuring your campaign effectively, you’re not doing your job. I’m talking about measuring more than just the ambiguous impressions, interactions, and demos. With today’s technology available, there is no reason not to devote part of your budget to measurement. My most recent agency placed a strong emphasis on measurement over the past few years, pushing us to sell it in to every client. It usually involved hiring an extra brand ambassador to gather consumer feedback on-site, which we regularly shared with the client, and then sent follow-up contact 4-6 weeks later to measure brand retention, purchase, and other metrics. As a marketer, if you’re not investing in measurement of your program you can’t adequately evaluate how or why your campaign succeeded or not and you can’t improve on your next one. Ultimately, learning how consumers view the brand, product, and your campaign, and then improving on it the next time, will only help your brand. If you follow the five principles listed above, you can not only start creating better, more effective experiential campaigns, but also learn from them and be better equipped to improve on the next one. I recently moved from the agency world to the supplier side, but I can translate the experiential advocacy and client service experience I gained to my new role as marketing and business development manager at Advantage Trailer. I still get to work with agencies and brands to help them create an effective brand experience because a trailer is a great vehicle for carrying out the experiential principles I discussed above. If you are in the process of planning an experiential campaign, give me a call at 630-524-2029 or shoot me an email at marketing@advantagetrailer.com so we can discuss how a trailer can help achieve your brand’s goals. Regardless, I want to hear from you. Am I wrong about any of the above? What principles do you follow that I didn’t mention? What are some great examples of the above principles that you have done or seen?